Posted March 1, 2019 by Angee & filed under Member Opportunities. NOTE: We are accepting artist submissions for the Chicago Print Crawl until April 19, 2019! Spudnik Press Cooperative is thrilled to extend two opportunities to our members for our organization to represent your work! First, Spudnik Press is headed to the LA Art Book Fair (April 12-14) to show off our organization AND YOUR ARTWORK to a national audience. Then, Saturday, May 4, we are turning our gallery into a show room during the 2nd Annual Chicago Print Crawl! May 4, 2019 11:00 a.m. – 5:00 p.m.
Email your CV, bio, titles, medium, and prices to susannah@spudnikpress.org by April 19, 2019. Artist will be paid a 50% commission by 5/15/19. All unsold artwork must be picked up between 5/15 and 6/15/19. Email susannah@spudnikpress.org with any questions. Our Print Club is a quarterly subscription program that showcases the many talented artists (like you!) that are part of our community. Through this program, we are able to purchase wholesale or commission new work from our members! If you have a printed item (book, notecard, patch, sticker, totebag, etc.) valued at $1-20 that you would like to sell us, please email us an image of the item and the retail and wholesale prices. If you would like to receive an honorarium and complimentary studio access to produce a new fine art print, please email us a link to your website with a brief proposal of what you would like to produce. Posted February 18, 2019 by Susannah Papish & filed under Member Opportunities. **Please allow approximately 1 hour travel time each way from Spudnik Press to the Illinois State Museum in Lockport. What do art collectors look for when searching for their next acquisition? What excites them about collecting? How does the “mission” of an art collector affect what they collect? What places and spaces do collectors visit to discover new artists? Have you, as an artist, thought about what you can do to connect with collectors? Spudnik Press members are invited to a private tour of visit UNTITLED (house): The Diane and Browne Goodwin Collection at the Illinois State Museum. Browne Goodwin is an avid art collector and has been a supporter of established and emerging artists for more than 45 years. He looks forward to guiding our members through his vast collection, which includes an impressive number of fine art prints, including a selection by Spudnik Press artists. Members are encouraged to ask questions and guide the conversation. The Goodwin’s began collecting art in Los Angeles in the early 1970’s. Through their involvement in the Graphic Arts Council of Los Angeles County Museum of Art, the Goodwin’s began 30 years of enthusiastic collecting. They began by collecting the print work of 20th Century artists, contemporary American and European artists, and artist’s familiar to them in the vibrant LA art community. During their time in Austin, TX and presently in Chicago, they have continued their engagement with the contemporary art world. Mr. Goodwin continues his life-long passion for contemporary not only by collecting art, but also by serving on boards at the Chicago Artist’s Coalition and Spudnik Press Cooperative. He is inspiration and model for young collectors. Highlights of the exhibit include art from Joseph Albers, Winslow Homer, Ed Ruscha, Robert Rauschenberg, Sam Francis, Kate Ingold, Robert Burnier, Oli Watt, Richard Hull, Samantha Bittman, Sabina Ott, Viraj Mithani, Holly Cahill and William Crutchfield. After the private tour, the visit will be complemented by a public artist talk. One of the curators of the exhibit, Lauren Ball, will speak with artist Kelly Kaczynski. Kaczynski recently completed an expansive series of monoprints at Spudnik Press Cooperative, one of which is included in the exhibition! We anticipate an engaging conversation between the artists. This special event is part of our Professional Practices Member Programs, intended to introduce members to the numerous and diverse art spaces and individuals that contribute to Chicago’s vibrant arts landscape. In addition to connecting with other professionals in the city, these visits present our members with a range of resources and career paths. Browne Goodwin has been an art collector and supporter (with his wife until her death in 2014) for more than 45 years. Involved with many art organizations over the years, Browne is currently a Spudnik Press Cooperative Board Member, is part of the Chicago Artists Coalition Annual Committee, and participates in several museum support groups. His collection includes some 300 works of art in all media, with an emphasis on contemporary art from emerging artists in the communities where he has lived – Los Angeles, Austin, and Chicago. Fine prints form a major portion of the collection, and continue to be added. The exhibition of his collection at the Illinois State Museum offers a unique opportunity to view this private collection. Advanced registration is required. The non-refundable registration fee can be paid online. Please note the Illinois State Museum is in Lockport, IL about 40 miles southwest of Spudnik Press. Staff will assist with transportation by coordinating carpooling to and from this off-site visit. After registering for the event, please email Susannah@spudnikpress.org to let us know if you will provide your own transportation, or if you would like to participate in the carpool as a driver or a passenger. An itinerary of the off-site visit will be sent to all registered participants on Wednesday, March 20, 2019. Posted October 29, 2018 by Angee & filed under Member Opportunities. Founded in 1983, Gallery 400 is an integral part of both the University of Illinois at Chicago and the city of Chicago’s vibrant contemporary art scene. The gallery is uniquely poised to offer innovative programming that connects the art of today to scholarship and debate emerging from the University. To date, Gallery 400 has presented more than 1,000 artists in its exhibitions and programs. On Thursday, November 15th, Spudnik Press members are invited to partake in an intimate tour of the gallery and conversation with Director and Curator, Lorelei Stewart. During this time, we will hear from Lorelei about how Gallery 400 is able to make contemporary art more accessible to the public, and how she and her team foster an interdisciplinary understanding of the visual arts through the gallery’s dynamic programming. Spudnik members participating in the tour will also have an opportunity to ask about how the gallery supports local artists in their professional careers and how it differs from a traditional commercial gallery space. Immediately following our conversation with Lorelei Stewart, members will have an opportunity to view the exhibition Chicago New Media 1973–1992, curated by Jon Cates with assistance from Chaz Evanz and Jonathan Kinkley. This expansive project chronicles the under-recognized story of Chicago’s contributions to new media art by artists at the University of Illinois at Chicago’s (UIC) Electronic Visualization Laboratory (EVL), the School of the Art Institute of Chicago (SAIC), and at Midway Games and Bally from 1973-1992. Chicago New Media 1973-1992 will feature video game artifacts, new media technologies, historical photographs, game stills, playable video game consoles, and virtual reality modules. Above: Lorelei Stewart, Director and Curator of Gallery 400. Lorelei Stewart has been Director and Curator of Gallery 400 at the University of Illinois at Chicago since 2000. Her work focuses on the vital role art plays in shaping civic conversations, ideas, and ultimately actions. Recent projects include the research project Chicago Disability Activism, Art and Design, and a forthcoming series of exhibitions Chicago Together, which develops young Chicago curatorial talent while building connections between artists’ work and the interests of city communities. At Gallery 400 she has organized and curated over 50 exhibitions, including solo projects with David Leggett, Rubén Ortiz Torres, Jenny Perlin, Karen Reimer, Edra Soto, Stephanie Syjuco, and Edgar Arceneaux, whose 2006 exhibition The Alchemy of Comedy…Stupid won the Joyce Award and was presented in the 2008 Whitney Biennial. 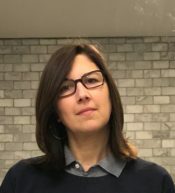 She has been a juror and reviewer for 3Arts Artist Awards; Artadia; Chicago Artists Coalition grants and residencies; the Evanston Biennial; the Institute for Museum and Library Services; Mary Nohl Fellowships; and the Hunting Prize, Texas, among others. She teaches in UIC’s Museum and Exhibition Studies program, for which she was the founding director, and co-founded Propeller Fund, an Andy Warhol Foundation funded granting organization that has, since 2010, awarded Chicago artists nearly half a million dollars. She holds a BA from Smith College, a BFA from Corcoran College of Art and Design, and an MA in Curatorial Studies from Center for Curatorial Studies at Bard College. Image: General Motors, Phil Morton, Video, 1976. Courtesy of the Phil Morton Memorial Research Archive and VGA Gallery. Video to be featured in the upcoming exhibition Chicago New Media 1973–1992 at Gallery 400. Posted September 17, 2018 by Angee & filed under Member Opportunities, Uncategorized. In an effort to continue our mission to unite our community of printmakers with art professionals throughout the Chicagoland area we are launching a revised edition of our portfolio reviews this 2018. Professional Practice: Portfolio Review will consist of a 30-minute, individual portfolio review with a curator, educator, gallery director, or arts administrator. This is a unique opportunity for artists to receive feedback on a current body of work or upcoming project, as well as suggestions on how to prepare for other professional opportunities. Posted July 27, 2018 by Angee & filed under Member Opportunities, Calls for Artists. The Annual Benefit is our largest fundraiser of the year, which raises upwards of $20,000 to be invested in our studio and programs. Each year, the event’s art auction draws upwards of 150 collectors, curators and arts professionals to support Spudnik, bid on art, and discover emerging artists. Past benefit attendees include curators from the MCA, DePaul Art Museum, AIC, Hyde Park Art Center, as well as dozens of gallerists and private collectors. Building on the success of last year, the auction will once again feature a juried selection of artwork by our members. This year’s member section will be curated by esteemed artist and educator Oli Watt. Each member featured in the auction will have their work framed and receive complimentary admission to the benefit. This is an exciting and wonderful opportunity for our members to have their work reviewed by an established artist and reach new audiences, as well as a way to support your studio. 100% of the sales from the Benefit Auction will support Spudnik Press Cooperative. Drop off up to 5 pieces of artwork by Saturday, August 11, 2018. When dropping off your work, fill out and attach an artwork submission form to each piece. Ask staff or studio monitors for assistance. All artwork will be reviewed by Oli Watt for inclusion in the Annual Benefit auction. Members will be notified of acceptance by Friday, August 31, 2018. Save the date for the October 20th Annual Benefit! Artists selected to be featured in the auction will receive one complimentary ticket and access to discounted tickets for their guests. Participants may submit up to 5 artworks. Artwork dimensions must not exceed 22 × 30 inches. Oli Watt is a Chicago-based artist, educator and the curator of Free Range Gallery. Watt received his BFA from the University of Florida and his MFA from the School of the Art Institute of Chicago, where he currently serves as Assistant Professor in the Printmedia Department. His work has been exhibited at the Brooklyn Museum of Art, Museum of Contemporary Art, Chicago, Spencer Brownstone, New York, Rocket Gallery, London, and the Terra Museum of American Art, Chicago, to name a few. Watt’s work has also been published in Art on Paper, Art US, New Yorker, New Art Examiner, and the Village Voice. He is the recipient of the Maxine and Stuart Applebaum Award of Excellence and the Tweed Museum of Art Purchase Award. Please direct any questions you may have to marcela@spudnikpress.org. Opening Reception: Friday, September 7, 6:00 – 9:00 p.m. DEADLINE EXTENDED TO SATURDAY, AUGUST 11, 2018! This fall, our Annual Member Exhibition will provide an insider view on the art of collaboration, with a focus on the free form exchange of ideas, skills and know-how that takes place daily at Spudnik Press. More specifically, we seek to highlight work that is created collaboratively by our members, whether that is a fine art print, gig poster, zine, or mixed media piece that includes print. Through this exhibition we celebrate the coming together of different artistic approaches and ideas that emerge from these collaborations, which in turn help craft a deeper understanding of our art practice, each other, and our surrounding communities. The exhibition is not juried and is open to all Spudnik Press members. Participants may exhibit up to 2 collaborative artworks. If work is available for sale, Spudnik Press retains 50% of income from the sale of artwork during the exhibition. All artwork must have been partially or fully produced at Spudnik Press. Artwork must be ready to hang. Artwork dimensions must not exceed 22 x 30 in. Recent artwork made within the last two years is preferred. Complete the Online Sign Up Form by Saturday, August 11, 2018. Email marcela@spudnikpress.org with 2-3 hi-res images of your work by Friday, August 3, 2018 to be considered for inclusion in the promotional materials for the exhibition. Please include artist names, title, and year of completion in file name. Images should not exceed 1 MB each. Drop off artwork by Friday, August 24, 2018. Pick up artwork by Saturday, October 27, 2018 at 4:00 p.m. Please direct any questions you may have to marcela@spudnikpress.org. Additionally, if you are interested in participating in the exhibition, but do not yet count with a collaborator, our Member Directory and Member Interviews are great ways to help you get started and learn more about our community of printmakers. Posted June 4, 2018 by Angee & filed under Member Opportunities. Elizabeth Lalley is a Chicago-based writer and independent curator, and the Assistant Director of Goldfinch Projects. She received an MA in Museum & Exhibition Studies from the University of Illinois-Chicago, and holds a BA from the University of Michingan where she received the Academy of American Poets Award. 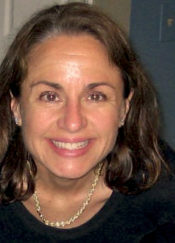 Lalley has worked for the Chicago Artists Coalition, the Smithsonian Center for Folklife & Cultural Heritage, and the University of Michigan Department of English. She is a Curatorial Fellow with ACRE (Artists’ Cooperative Residency and Exhibitions) and a contributor to Newcity and Chicago Artist Writers.